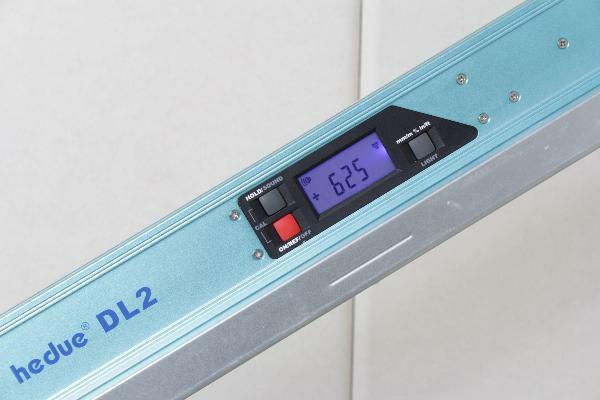 The digital protractor hedue DL2 guarantees precise measuring values in degree and millimeter. The strongened aluminium section guarantees a flawless lining on work pieces, horizontal as well as vertical. 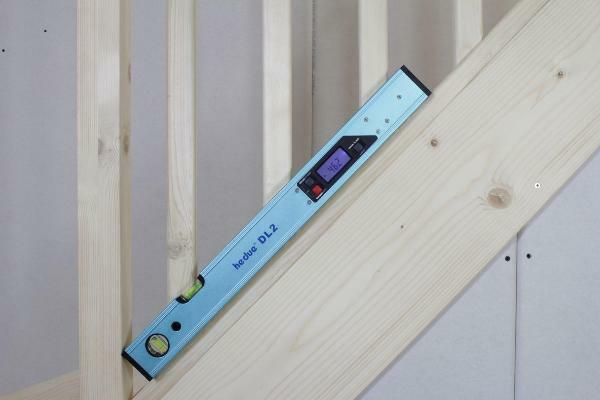 The user-friendly Dispaly is easy to read because the switchable illumination. 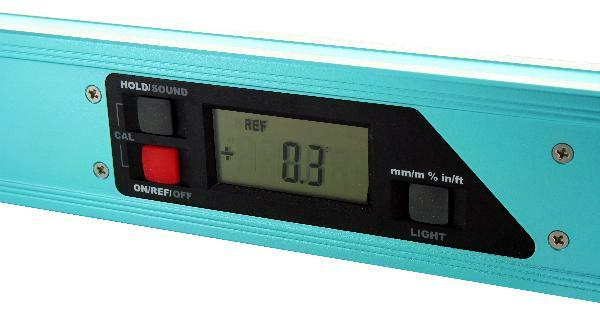 The display automatically turns when working overhead which minimizes reading errors. 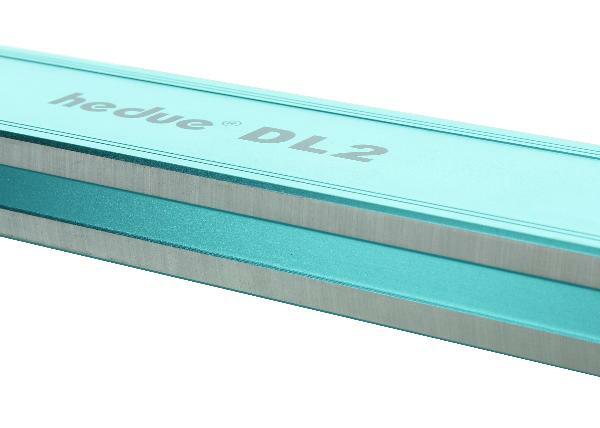 Additionally, the DL2 gives an acustic signal when the measuring is near 0 or 90°, which makes the measurement easier.